It's Mothering Sunday this weekend! Flowers? Check. Chocolate? Check. Card? Check. But have you thought about bringing your Mum or indeed anyone who has loved you and shaped you to be the person you are today to church??? The services on Sunday will be easy to engage with plus some well known songs and hymns. 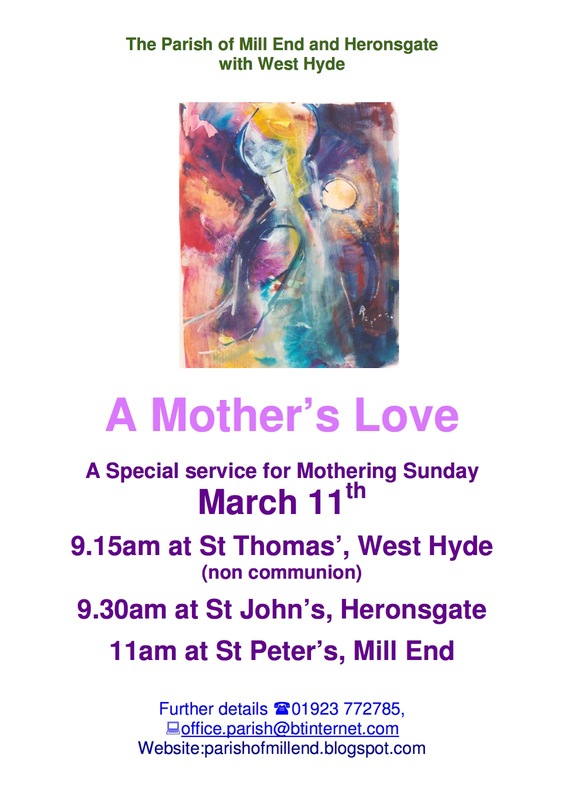 It doesn't matter if you know it as Mothers Day or Mothering Sunday either way it's a great way to thank God for our Mums and anyone who has and continues to love us.